When the man you’re dating finally pops the question, how would you react? No matter how long or how short you’ve been in a relationship, when this surreal moment comes, your heart will surely skip a beat. In fact, even when you have been expecting for the moment he would show the ring and ask your hand in marriage, the feeling will still be unpredictable. It will leave you amazed and nervous. But above all, you will feel like the most beautiful woman on the face of the earth when he finally asks you to marry him. After the proposal, that nerve-wrecking feeling of anxiety, joy, and excitement will come to you again on the day of your wedding. Although the expectation of everything about the ceremony is there and the knowledge of what will unfold is in your head, you still can’t be prepared for that precise moment that you will say I do to the man you love. 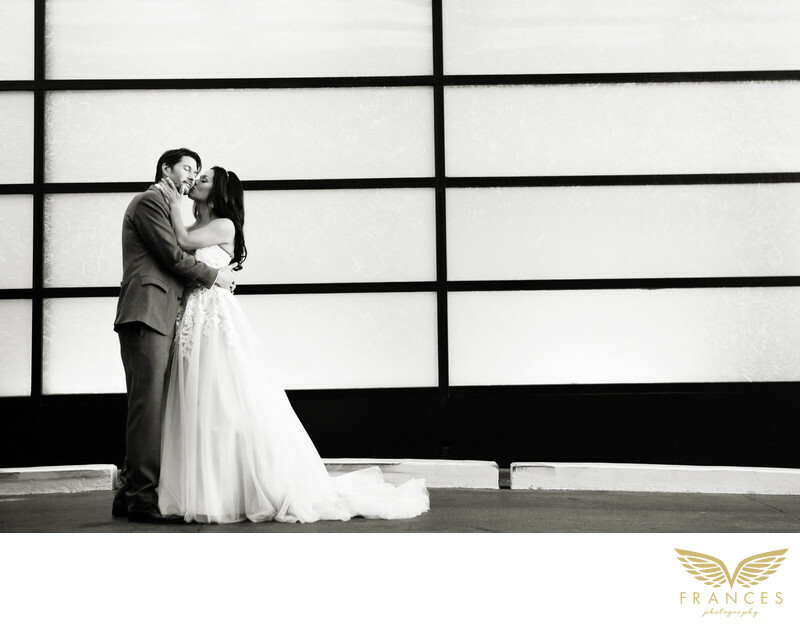 This "first look" image of the couple prior to their wedding at the Grand Hyatt in downtown Denver reflects the amazing feeling of getting married to the person you love the most. The way the bride kisses her groom here will make us wonder if they knew that someone was taking a photo of them because the moment looks so natural and raw. It’s one of those photos that will remind the couple of how magical that day had been. Location: 1823 Stout St Denver, Colorado.